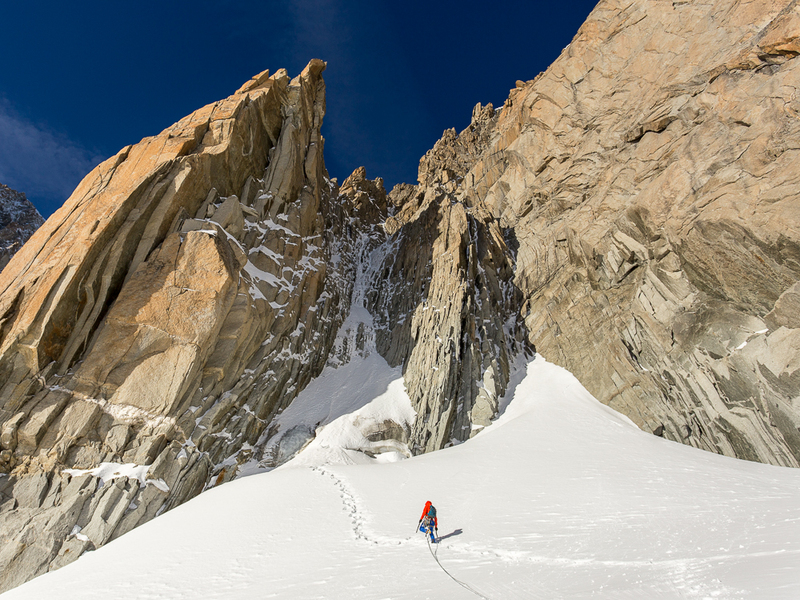 Today Alex and I headed up the Midi to check out Pellissier Gully, a classic mixed route just a short walk away from the lift station. We’d heard the gully was in okay condition so expected to find a bit of ice interspersed with some moderate mixed. To our surprise, we found it in exceptionally fat conditions. Climbing it in four long pitches, there wasn’t a single mixed move until the final pitch. This final pitch made up for the slightly unexciting earlier pitches and offered some fun moves on good hooks at the M5 level. Well worth doing if you’re looking for a quick day hit. Conditions elsewhere around the Tacul’s east side looked equally good. Classics of the area like Modica-Noury and Gabarrou-Albinoni looked in good condition whilst some of the harder routes like Pinocchio and Scotch on the Rocks also looked like they could go. On the other hand, routes off the Midi bridge aren’t looking so healthy. 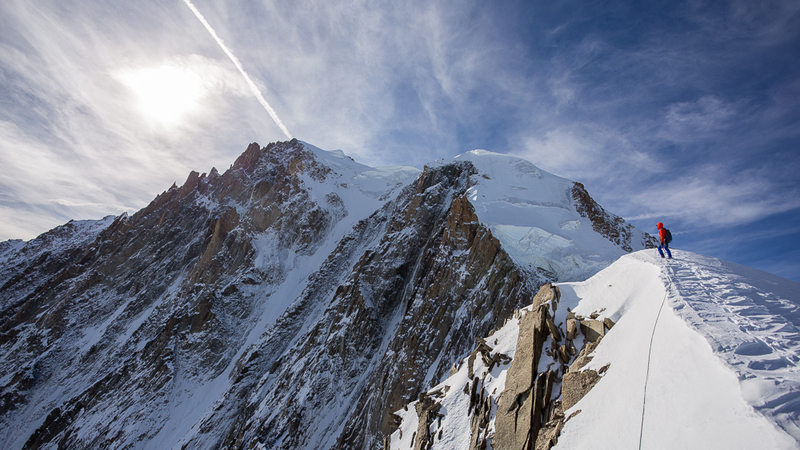 Vent du Dragon is still there, though only just, and Profit-Perroux looks pretty desperate, particularly the last pitch which is completely dry. The Midi closes for annual maintenance after this weekend, so if you fancy having a crack at something get up there soon. Alex takes the lead and works his way towards the gully. Alex on the first of four long pitches. The belays in the gully have been re-equipped in the last few weeks. 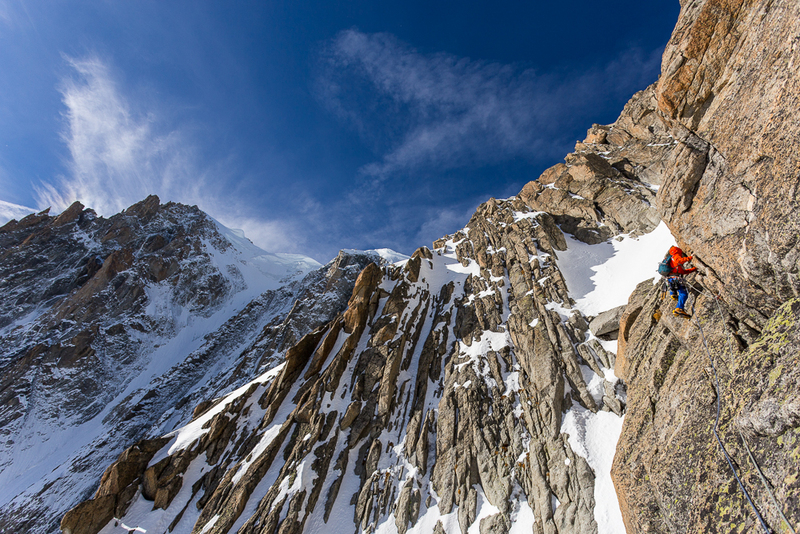 There are now four bomber double-bolted belays making the gully climbable in four long pitches (60m ropes obligatory; the first belay is located 20m after the bergschrund on the left bank and each subsequent belay is obvious). The first three pitches are currently all in snow and ice and mostly low-angled (60/70 degrees with a couple of brief walls at 80 degrees). 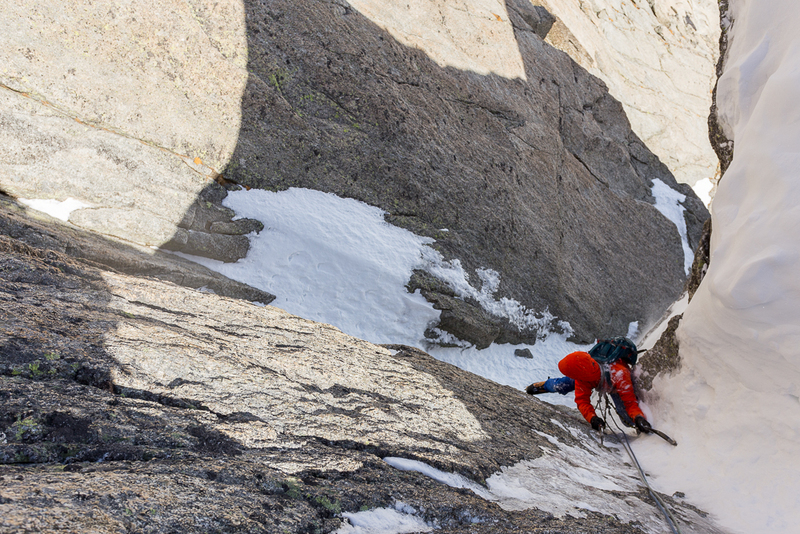 The fourth pitch is a bit more spicy and offers two options, a right exit and a left exit. Both go at around the M5 level and the right exit is the traditional, slightly longer exit. However, we’d heard the quality of the climbing was better on the left exit and so opted for this. It didn’t disappoint and though short-lived offered some fun mixed on solid hooks. Alex exiting the final mixed pitch. 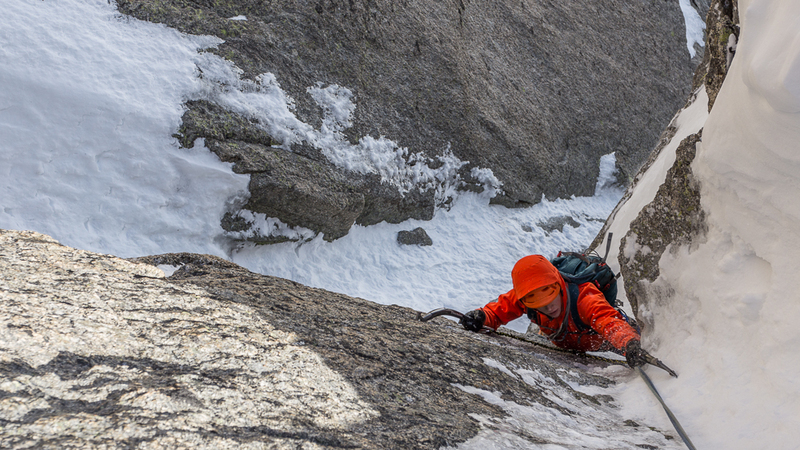 After the last pitch, you can easily rappel back down the gully. 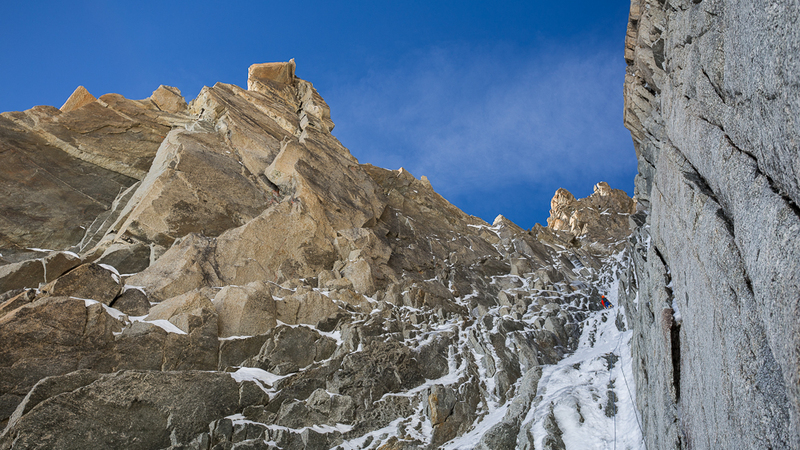 However, about 100m of easy rock climbing and low-angled snow takes you to the top of Pointes Lachenal. Such an amazing place to photograph! Love the post.